Don’t have a barcode? You can pre-register online for a temporary library card. PLEASE NOTE: Online Registration is for new cards only*. Getting a library card is fast and easy! To have our staff issue your permanent card, just bring one of the following current IDs listed below, along with your current address to any outlet of the Erie County Public Library. Library cards are free to residents of Erie County, out-of-town college students residing in the county and anyone with an ACCESS PA sticker on their library card from another library. Non-Residents may obtain a library card good for one year for a $10.00 (annual) fee. If you change your address or lose your library card, please notify the library immediately. *If you already have a library card: For accounts created prior to 2017, Your Password is your 7 digit phone number (no spaces, no dash) we have listed on your account. Otherwise, your Password is the last 4 digits of your primary phone number, unless you have changed it. You can change the default setting by logging into My Account. *If you need to renew or replace your library card: please visit your nearest Erie County Public Library branch. Online registrations become active immediately. You can place up to 5 holds. The ability to borrow digital and print materials requires a physical library card. You have 10 business days to come to the library with identification to pick up your card. If you are under 15, you will need to have a parent or legal guardian co-sign your registration when you pick up your physical card. PLEASE NOTE: This application is a CONTRACT, so read it carefully. 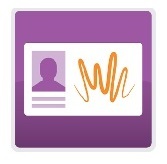 Please bring your photo ID with proof of current address to your nearest library branch to obtain your permanent card. Be financially responsible for material borrowed with this card. Inform the library if my residence or email address changes. Monitor the material my child selects and checks out on this card. Pay all fines/charges for the late return, loss of or damage to all material borrowed on this card. Report a lost/stolen card immediately; I am solely responsible for lost/stolen items on my card until I report it lost/stolen. Hold parent/guardian solely responsible for ensuring material borrowed by their child/ward is appropriate. The library’s collection serves a wide diversity of customers and therefore contains material some could feel is inappropriate. Hold parent/guardian of a minor (those age 18 and under) responsible for fines/charges for late return of or damage to material borrowed with this card until the card expires.